Have you ever wanted a friendly-family dog? 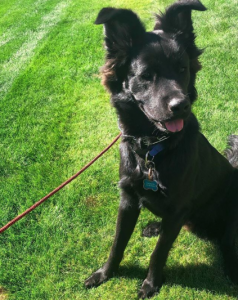 Look no further as the Shiba Inu Lab mix might just be the one for you! Shiba Inu Lab mixes are more commonly known as Shibadors. 5 Things You Need To Know About Shiba Lab mixes! 1. If kept well, these hybrids can live anywhere from 12 to 15 years. 2. These dogs are active and will require a minimum of 60 minutes of exercise daily. 3. Because of his Labrador nature, the Shibador can be a greedy eater. So, watch out! If he eats too much he can get quite overweight. 4. Shibadors may enjoy activities such as swimming—all thanks to their Lab genetics! 5. These dogs need to socialize or else they get bored and destructive! Shibadors will thrive in environments where they have other dogs to play with. What do These Dogs Look Like? The Shiba Inu Lab mix actually a medium-sized dog breed that can stand anywhere between 13 to 23 inches in height. At glance, these designer breeds will retain a strong muscular body, that often looks well-rounded and compact. The muzzle of the Shibador is medium in length and can appear slightly tapered. The breed tends to have a fairly broad skill that may give it a widen appearance. Shibadors don’t retain that characteristic “fox-like face” from their Shiba Inu parent breed. However, they do often inherit those watchful, slanted eyes of the Shiba. Now, when it comes to coat length, it’s important to remember that your designer can inherit more qualities of one parent breed as opposed to the other. Shibadors can come in a small range of colors that include creams, golds, sesame red, and black-tan mixes. 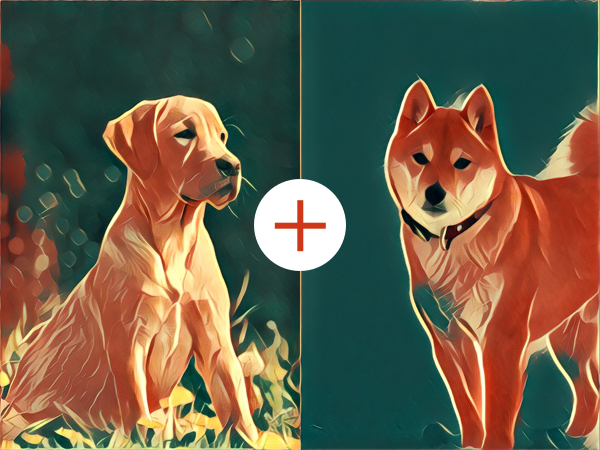 Your Shibadors coat color will depend on its parents! Characteristically, Labradors will have short, dense double-coats coats that shed like crazy throughout the year. On the other-hand, Shibas have short, dense coats that appear more “fluffed”. Shibas are more “vacuum-friendly” as they are considered occasional shedders. So what does this mean for your hybrid? Well, chances are your hybrid can be a seasonal shedder as well! but, be cautious they can shed just as much as the lab! A Goofy Pooch—The Shiba Inu Lab Cross Will Make You Laugh! The Labrador Retriever has taken 1st place as the most popular dog breed in America—and why wouldn’t he? These doggos are simply those most loving, sociable, faithful dogs ever! In contrast, Shiba Inus are often described as alert, intelligent, independent breeds. So, when you combine the two you get what I think is possibly the most puptastic family dog! The Shiba Inu Lab mix is a dog that will get along with children and other pets. These dogs, aren’t exactly watchdogs—when a stranger approaches, the most they will do is lick them to death! The Shibador is incredibly loyal and will remain devoted to their owners. They love to please their family members, so this means they’ll be easy to train. Every dog is prone to developing health problems. While many purebred, pedigree breeds are more at risk of inheriting medical ailments, your Shibador is no exception. Labradors are breeds that may be most at risk of developing conditions such as hip dysplasia, elbow dysplasia, retinal dysplasia, and Wobblers syndrome. Consequently, Shiba Inus are prone to developing problems such as hip dysplasia and hypothyroidism. So, your pooch can be at risks of inheriting conditions common to their parent breed. This is why it’s very important that pet owners avoid adopting pets from backyard breeders or puppy mills.